Show off you team pride when you travel with the L300 Series Rolling Drop-Bottom duffel made by Denco. Each duffel boasts a spacious, structured and lined main compartment with a convenient, u-shaped, top-zip closure. It features grab handles on both ends to allow two-handed trunk-style lifting into vehicles. A dual zipper reinforced drop bottom allows for more secure and organized packing with the convenience of the duffel shape. It also comes with protected in-line skate wheels and your favorite MLB team colored logo. 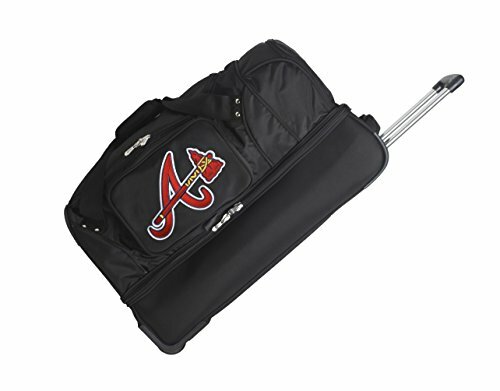 This is the perfect way to cheer on your team and travel in style!